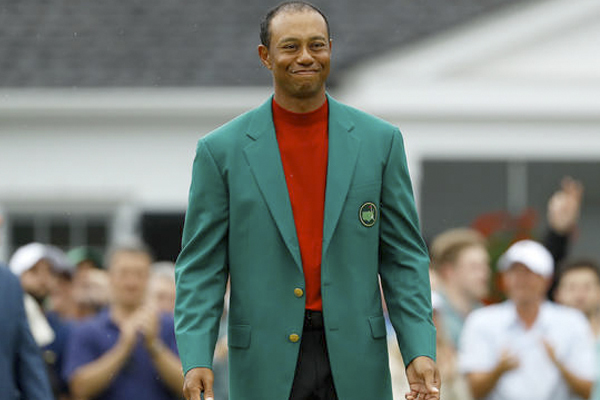 Just one day after Tiger Woods won the Masters for the first time in 14 years, President Donald Trump announced that he will be giving the golfer the Presidential Medal of Freedom to commemorate his comeback in golf and in life. Trump and Tiger have been friends for years and recently golfed together at the Trump National Golf Club in Jupiter, Florida. Other athletes who have earned the Presidential Medal of Freedom include Muhammad Ali, Babe Ruth, Roger Staubach, Michael Jordan, Kareem Abdul-Jabbar, Jackie Robinson, and Hank Aaron, among others. Tiger’s victory wasn’t just impressive on its own, but it was also one of the greatest professional comebacks in all of the pro sports considering he hadn’t won a Major in over 10 years.